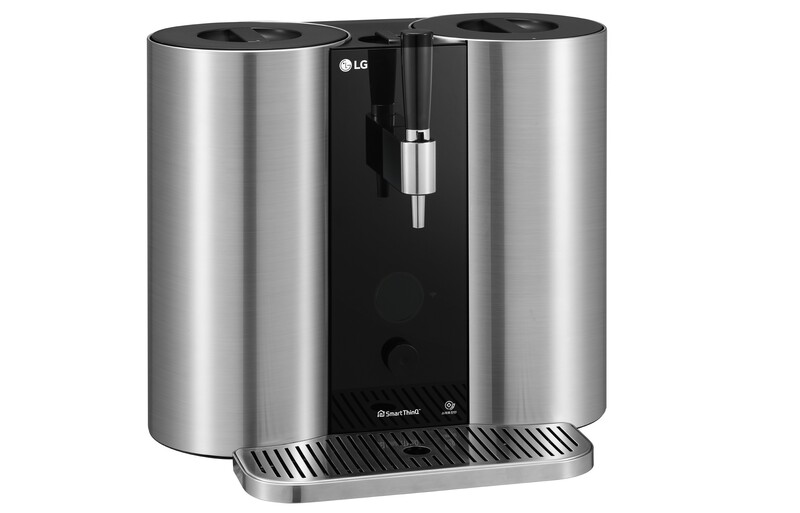 LG unveiled the LG HomeBrew a few weeks ahead of CES. I’ve seen the device today, and it looks like a gigantic, inconvenient machine. It’s hard to grasp the size of the device based on photos, but it’s as big as a full-size espresso machine. You’ll need a big counter in your kitchen. But that’s not the issue. The system uses a set of capsules. There’s a big tube-shaped malt capsule and three tiny Nespresso-shaped capsules for yeast, hop oil and flavoring. All these capsules come in a single box every time you want to start a new batch. But the capsules are not the issue either. The main issue is that it takes two weeks to brew your beer once you’ve started the process. At the end, you get 5 liters of beer, or around 10 pints. Once you’re done, you need to replace the capsules and wait another two weeks. Unlike traditional home brewing methods, you can’t start another batch while the machine is still brewing. So you’ll be out of beer quite regularly. Sure, you can buy two machines. Maybe LG should have designed a rackable system so that you can stack them up. But that defeats the purpose of an all-in-once, self-cleaning machine. It’s unclear how much the machine and capsules are going to cost and if beer tastes any good. We couldn’t try the beer. There will be five different tastes — American IPA, American Pale Ale, English Stout, Belgian-style Witbier and Czech Pilsner.